Weakening Hurricane Paul approaching Cabo San Lazaro on the West Coast of Baja California peninsula. At 1100hr PDT the center of Hurricane Paul was located near latitude 24.3 north/longitude 112.2 west. Paul is now moving toward the north near 28 km/h. On the forecast track Paul will make landfall within the Hurricane Warning area in a few hours. A gradual turn to the northwest with a significant decrease in forward speed is expected on Wednesday. 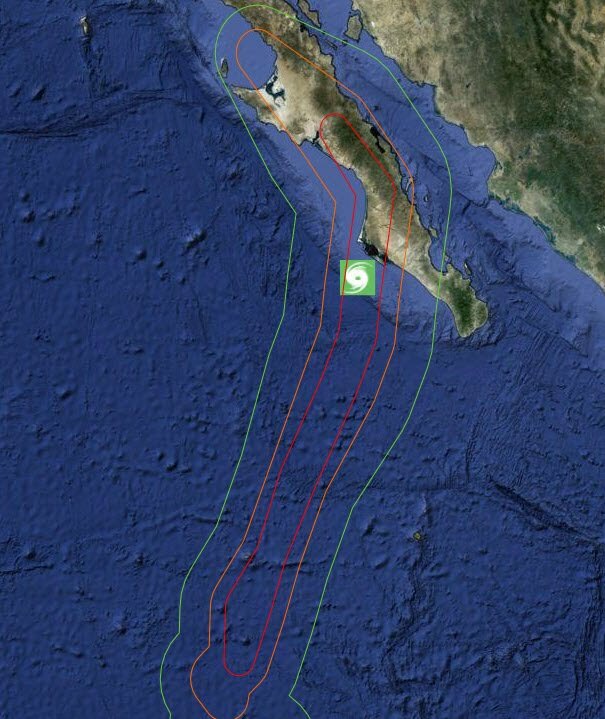 This track should keep a weakening Paul moving over the Baja California peninsula for the next 24 to 36 hours.